Future cannot be predicted; it can only be prepared. When nothing can replace hard work, determination and perseverance, to achieve our goals has never been easy. Success comes when preparation meets the opportunities The Chinese consider BaZi with pragmatism: they use it to understand a little better their road of life in order to minimize challenges and if possible, overcome them. You just have to give your date of birth and the calculator will calculate your Day Master. 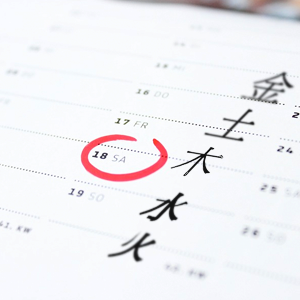 Your true character in Chinese Astrology are mostly coming from your day of birth and not from your animal sign of your year of birth. Your Day Master is your most important reference point in a BaZi analysis. Your Day Master inform you on your true nature, including the hidden features of your character. Our quality of life depends greatly on our decisions. The best choices are taken when we have the knowledge of all the options at our disposal at a certain period of life. The main purpose of a consultation is to inform you where you are on your life path so you can grab the opportunities offered to you, when to make an important decision, when you are at a cross road.